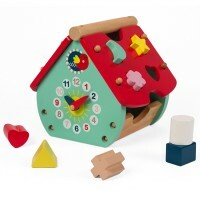 Funky and modern colours in a traditional toy that is always a favourite with the littlies! 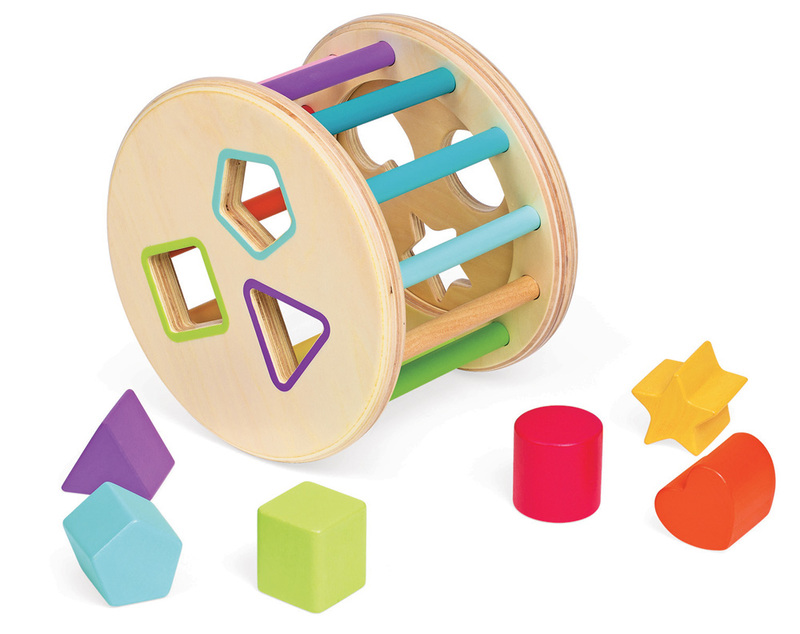 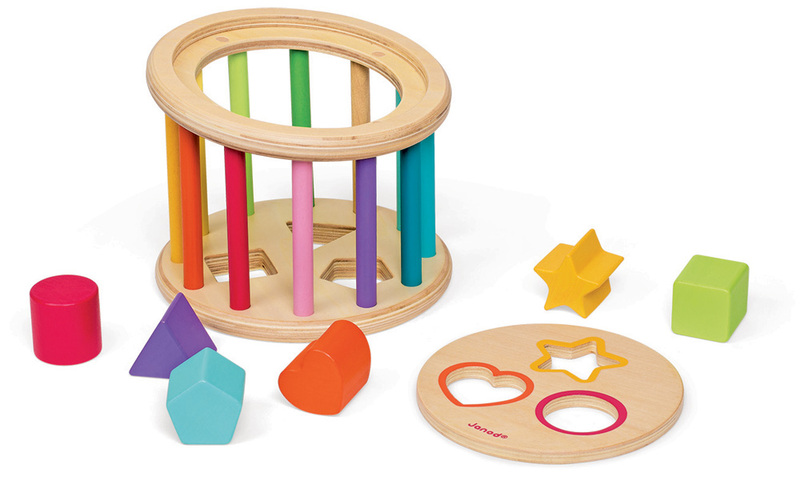 Shapes Quiz is a round wooden shape sorter with 6 coloured shapes including a square, heart, star, circle, triangle and pentagon. 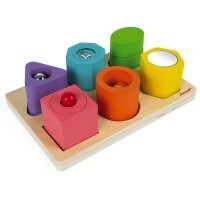 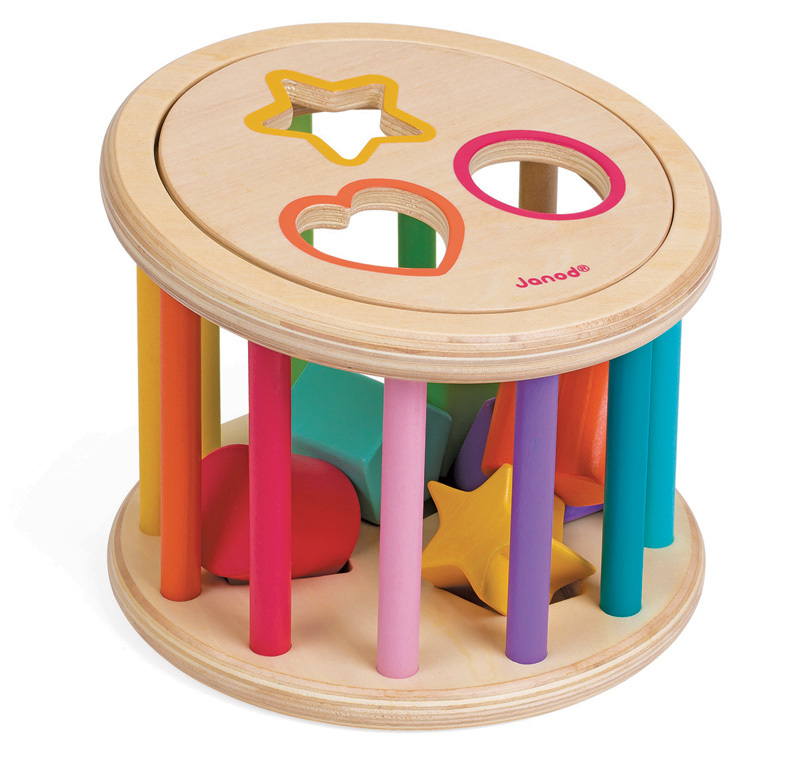 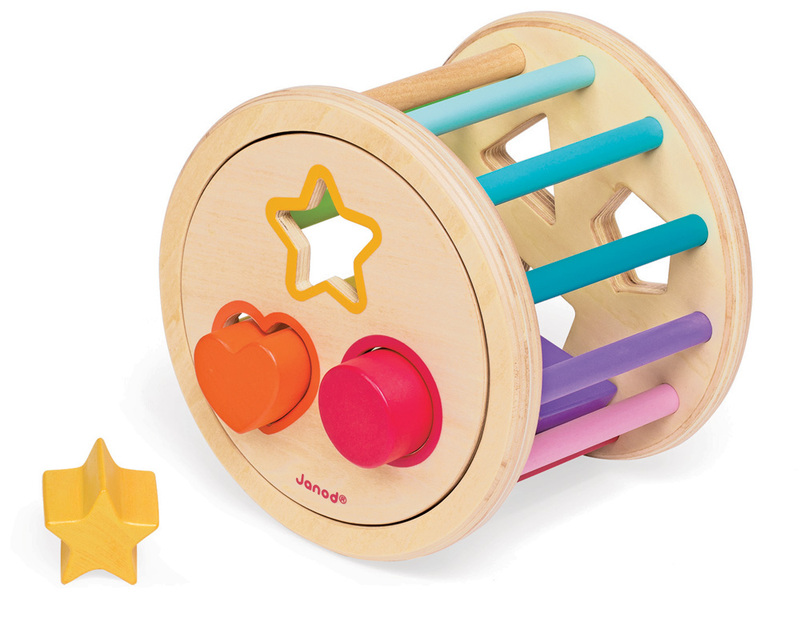 The top is angled for ease of use while sitting and is magnetised so that the whole unit can be used as a rolling toy. 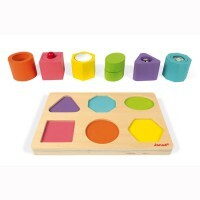 The coloured bars and shapes are waterpainted and the curves on the Shapes Quiz give it a tactile smooth feel. 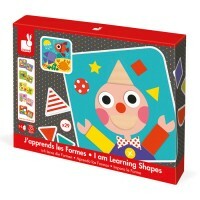 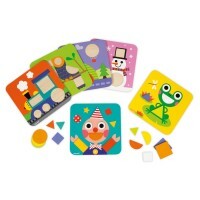 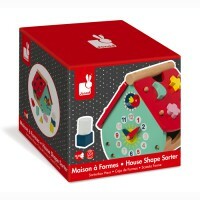 Learn your shapes while learning your colours - educational and fun!